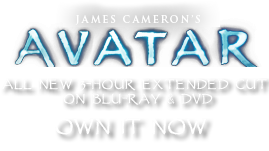 Pandoran Flora | Pandorapedia: The Official Guide to Pandora | Own AVATAR on Blu-ray & DVD Now! As on Earth, plants on Pandora have evolved the ability to respond to gravity, though its force is weaker on Pandora. As a result, gigantism is found in plants, and the typical orientation—stems growing up and roots growing down—does not necessarily hold true. The tallest trees, which are limited on Earth by the physical height to which their transport tissue can move water, reach much greater heights on Pandora in its lower gravity. The presence of a magnetic field and ionizing radiation have selected for growth responses toward these stimuli, named magnetotropism and radiotropism, respectively. Similarly, some plants are magnetonastic, meaning they move in response to the magnetic field on Pandora. These unique responses make the more typical touch response, thigmotropism, which is found on both Earth and Pandora, seem quite tame by comparison. Although plants on Pandora have been given various common and Latin names, using the standard nomenclature accepted on Earth for biological organisms, their systematic classification remains a mystery. Some appear quite simple and perhaps primitive, while others have fantastic, seemingly highly evolved adaptations to the particular conditions on Pandora. Most intriguing is the presence of life forms that have characteristics of both plants and animals. These 'zooplantae ' (or, colloquially, "planimals") have incipient nervous systems that give them the kind of organic intelligence found in primitive animals. This discovery continues to baffle and delight biologists and botanists, who must reassess their preconceptions about the mechanics of life. As with most everything here, this mystery awaits further study by scientists lucky enough to make it to Pandora.